Hello friends! A little dream of mine has come true: my quilt pattern is in a magazine! Quiltmaker magazine is featuring my Peppermint Swirls quilt in their Nov/Dec 2016 issue. 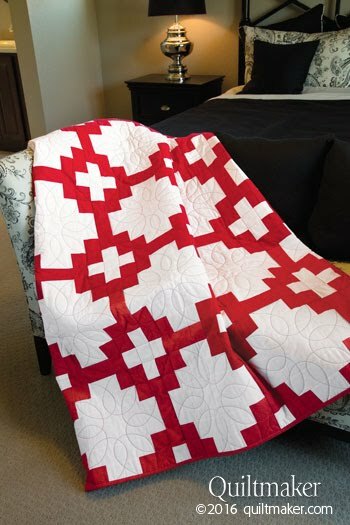 There are so many beautiful quilts featured, so to be among them is so, so exciting. I am guest blogging today over at their blog found here. I talk a little about my process and the quilt itself. 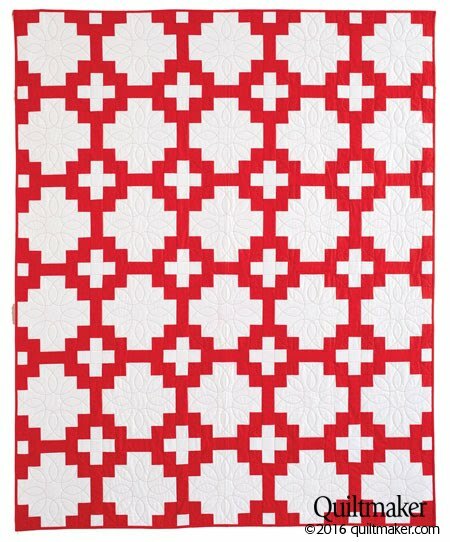 I want to take this opportunity to thank Crystal Zagnoli at The Quilted Cricket for the beautiful quilting, and to all of the people at Quiltmaker magazine for allowing me to share. Not to mention, look how pretty! They really styled & photographed it so beautifully. As an aside, I found the magazine recently at Joann's, so I know that you can buy it there. And may I add that when I saw it I was by myself, so resisted the urge to jump up and down and squeal and clap. But let me tell you, that was not easy!